Ride in style, then dine in style. 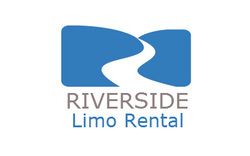 Whether it is your first date, the night you decide to propose, or just a treat yourself type of a night; Riverside Limo's job is to make sure whatever you decide to do happens in style. If you're treating yourself to a night out on the town, we are here to guarantee that all eyes are on you when you exit your chauffeured driven automobile of your choice for that nice cuisine with someone special. The person of interest will admire all the thought that went into a first date with a chauffeur. They'll love the special attention that everyone else will give as they exit and enter the car. What better way to receive brownie points and impress your date than by letting our trained drivers treat you and your date like a VIP. That special night/day that everyone longs for is that moment that your special someone proposes. While the roses are on the seat, the drink of your choice is chilled and the ring is hidden somewhere unbeknownst... we will drive you to that special place of your choice to pop the question. No matter your dining needs our drivers and limos will enhance your entire experience.